This beef stew captures the flavors of Tuscany with tomatoes, red wine and rosemary. Serve with pasta or polenta. 1. Coat beef with flour. Heat oil in large deep skillet or Dutch oven on medium heat. Add beef; cook until browned on all sides. 2. Stir in Seasoning Mix, tomatoes, wine and rosemary. 3. Bring to boil; cover. Reduce heat and simmer 45 minutes, stirring occasionally. 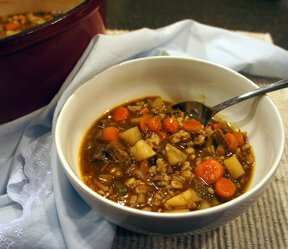 Add vegetables; simmer 1 hour or until beef and vegetables are tender, stirring occasionally. 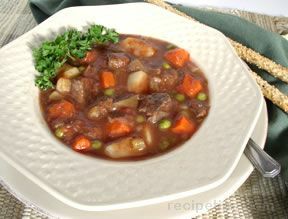 Thicken stew with additional flour, if desired.